It's October, which means, if you're a planner like me, you're getting ready to buy your 2011 calendar so you can keep track of what the new year is already bringing! Several days ago (yet again on the Design Sponge blog) I came across these adorable sustainably harvested wood veneer cards from Heather Lins. 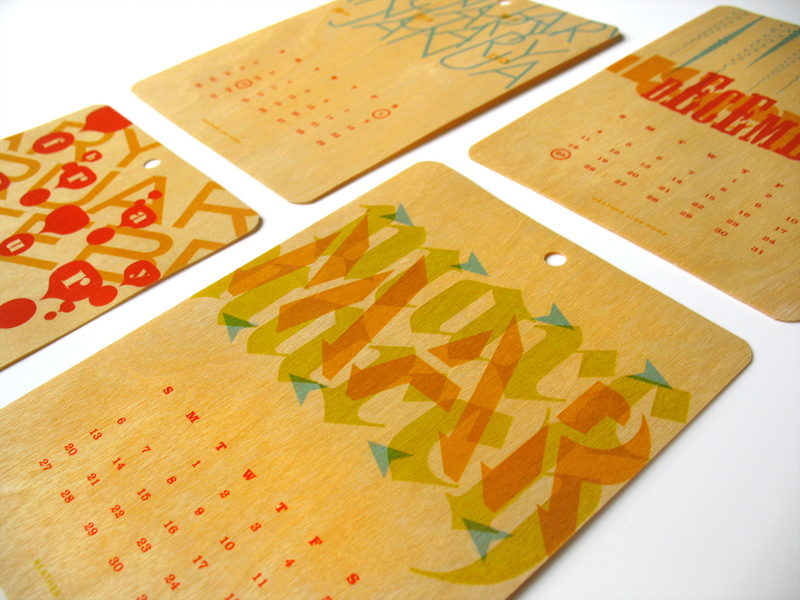 They come in a set of 12, with one for each month, boasting beautiful typography. There's also a hole drilled a the top for easy hanging! 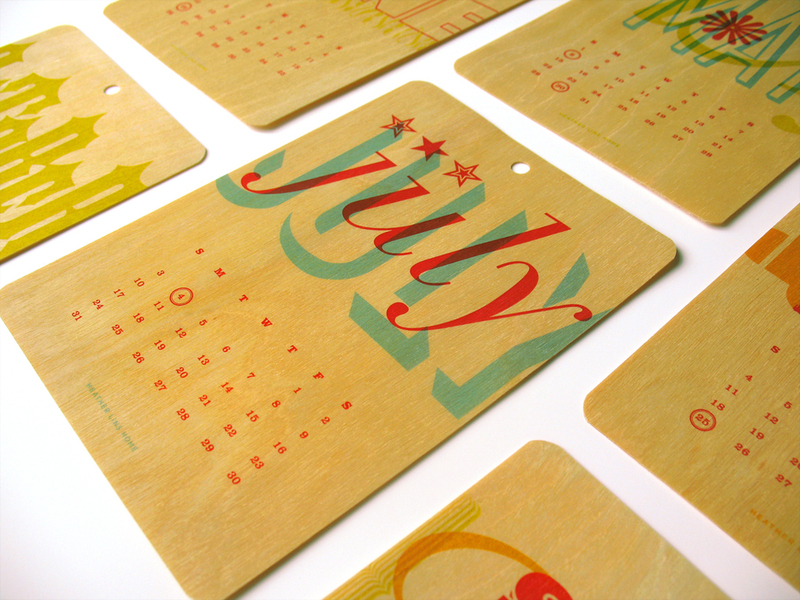 Next up are these sustainably harvested birch wood calendars from Night Owl Paper Goods, a "modern yet folksy" store brimming with cute ideas. New to their calendar lineup is this Danish owl hanging wall calendar, with the first six months on one side, and the other six on the back. It's topped with a natural jute hanger. 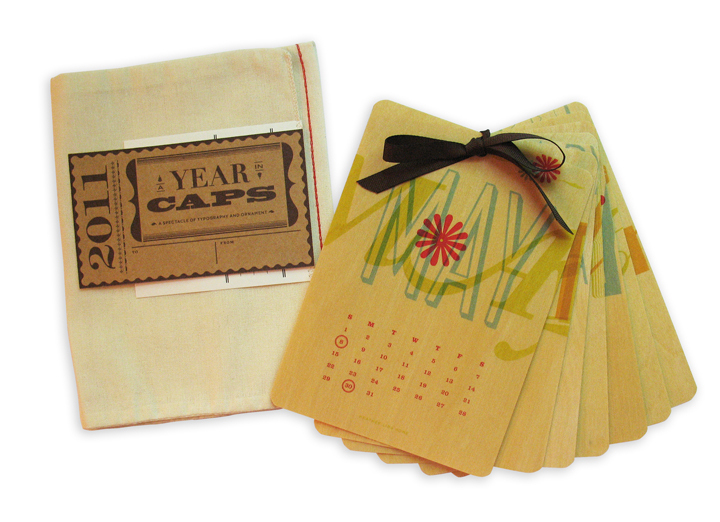 Night Owl also makes two versions of a 12-month calendar printed on 6 yellow birch cards (one month on each side of the card). The wood is sliced thin from a small amount of raw material and uses no water and very little power, helping you tread a bit more lightly in 2011. 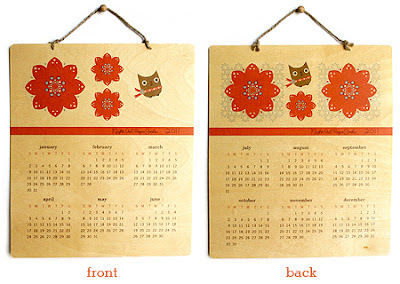 The first version features some cute critters, and the second beautiful botanical prints. Both come with a clear display case to add a pop of whimsy to your desk!